Students, faculty and Poughkeepsie locals gathered on the Library Lawn to mourn the deaths of 50 Muslims killed in shootings taking place on March 15. Protecting their candles from blusterous winds, attendees participated in a moment of silence. Jessica Moss/The Miscellany News. I remember where I was when the news first broke out. Ensconced in my comforter at 3 a.m. on a break-time television binge, I dimly registered the headline on the top of my phone screen: 41 confirmed dead, dozens more wounded in a New Zealand mosque. I remember the jolt that ran down my spine, and then suddenly feeling fully awakened. A white supremacist entered the Al Noor Mosque in Christchurch, New Zealand, and began firing upon those gathered for the weekly Friday prayer. In Islam, Jumu’ah is the holiest day of the week, akin to the Sabbath in Judaism, and millions of Muslims around the world attend the afternoon prayer. I remember thinking, this attack is deliberate. The shooter familiarized himself with Islam enough to plan his slaughter. In the morning, my mother’s sleepy smile was wiped off her face upon turning on the television to the update that more were attacked at a mosque in the nearby Linwood neighborhood—49 were now dead. My father did not go to mosque that Friday. I remember my ambivalence between wishing he had gone and fearing the repercussions of thereafter-emboldened individuals. Thus, when I returned to campus last week, the attack hung in the air like a storm. In response, Advisor for Muslim Life Nora Zaki organized a candlelight vigil—a tribute to the now 50 deceased and 50 wounded— hosted on Tuesday, March 26 in coordination with the Religious and Spiritual Life Office. Fellow mourners from all areas of campus life, the Poughkeepsie community and faiths gathered in a large circle on the Library Lawn. Zaki began by greeting attendees with the custom Muslim hello: Assalamualaikum, peace be upon you. She laid out the event as gatherers received their candles. Various candles repeatedly lost their fire as she spoke, but the mourners often lent their flames to those alongside them. Director of Jewish Student Life and Assistant Director for the Office of Religious and Spiritual Life Elizabeth Aeschlimann stood at the makeshift podium after Zaki and began with the customary Muslim greeting. The atrocity, she said, was one seen before in Pittsburg, in Quebec, in Charleston and in so many other places. White supremacy took the lives of more than the 50 slain in those mosques. Aeschlimann recalled a Muslim proverb shared with her by Zaki that echoed her own studies of the Talmud: To take one life is to kill all of mankind; to save one life is to save mankind. The names of those killed were read aloud in a moment of silence. The circle quietly grew as the service continued, and the candles flickered in response to the raging wind. Zaki then called on two students to speak. Khadeejah Abdul Basser ’22 read a poem she wrote only minutes after the attack to help cope with the news. When later asked, she shared the line she felt is the most impactful: “I could not wrap my mind around it, I was left, freezing.” Furrukh Asif ’22 then read a prayer traditionally recited to purify one’s heart in Arabic. Zaki closed by reciting Surah Al-Fatihah, the first prayer of the Quran, a prayer used to welcome all. Later in the week, Basser shared her thoughts on her poem: “I would say that my inspiration for the piece came directly from the intense emotions that I experienced right after reading about the Muslims who were murdered in New Zealand. I remember on that day I was enjoying the fact that the weather was so warm, bright and spring-like … Writing the poem was one way in which I could attempt to process and speak to the injustice of attack,” she explained. 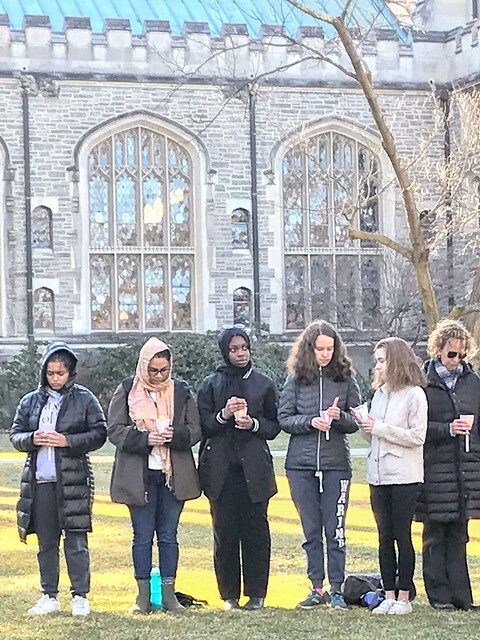 On the vigil, Basser expressed, “I feel that the vigil had a palpable effect on Vassar’s socio-political climate,” describing the sense of empathy and support she felt she received from the campus community. Although jarring, to many Muslims–atheist or devout, cultural or convert–and others targeted by white supremacy, the attack is not surprising. Another student who attended the event, Mina Turunc ’21, commented: “When I first heard the news, I was upset but not surprised by it … I wanted to pay my respects to the people in my community who died.” However, she shared similar sentiments to Bassar on the Vigil’s inclusive, respectful nature. 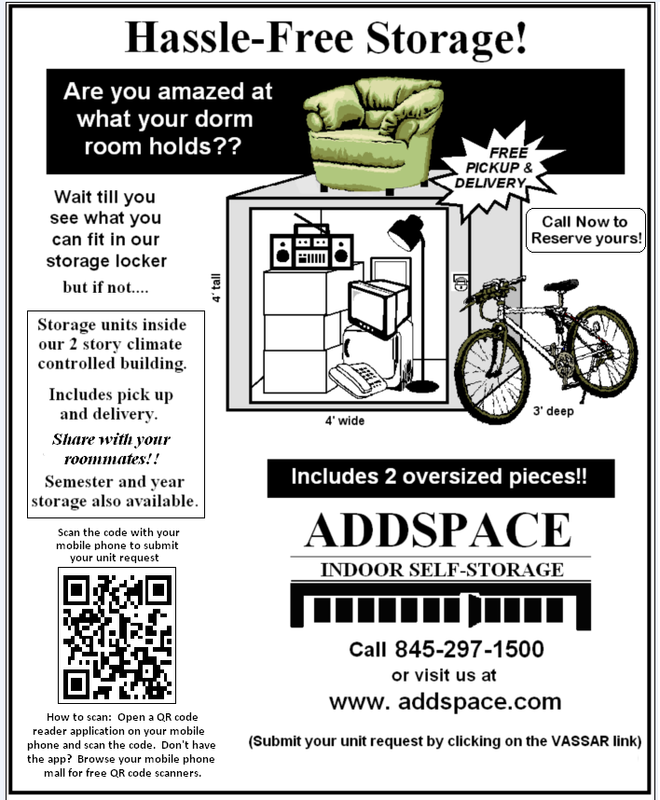 “It was nice to see members from different Vassar communities present,” she shared.